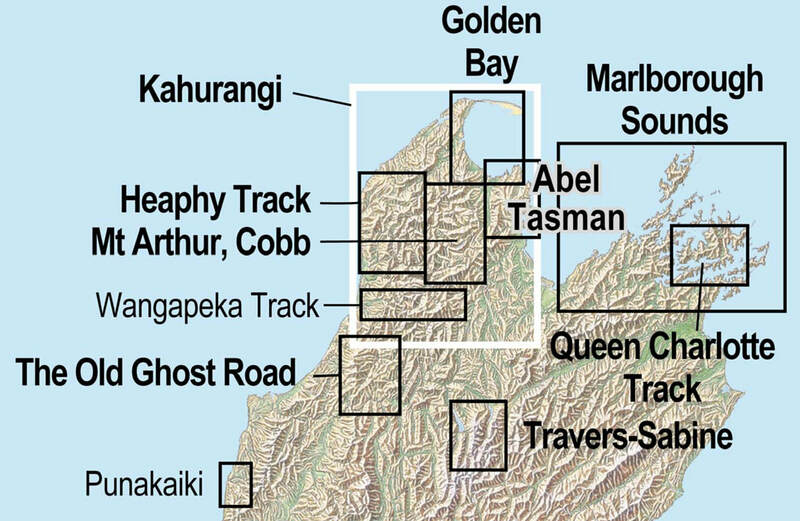 The Wangapeka Track crosses an isolated and complex mountain system in Kahurangi National Park, between the Waimea Basin near Tapawera south of Nelson, over two 1000m passes to the West Coast near Little Wanganui, south of Karamea. Note: There is a major slip in the lower Wangapeka Valley about one and a half hours from the Rolling River car park, and two large slips on the western end of the track between Little Wanganui Saddle and Belltown Manunui Hut. All require care.